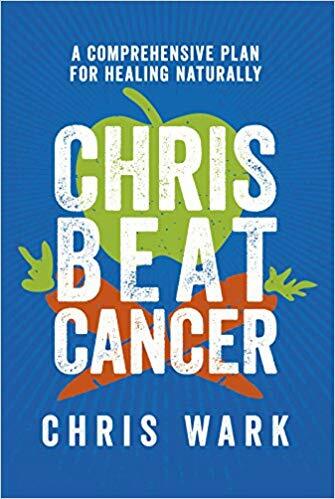 The purpose of my book, Chris Beat Cancer, is to tell you my story, explain the methods that I and many others have successfully used to heal, and share what I've learned about the power of nutrition and lifestyle medicine. Like many cancer patients, I had mainly been focused on not dying. No one had ever asked me if I actually wanted to live. Isn’t that a given? Doesn’t everybody want to live? For a brief moment, I feared that maybe deep down I didn’t, that perhaps, subconsciously, I had a death wish. So I asked myself, Do I want to live? Do I? I searched my heart. At first, I didn’t know what the answer was. Despite my ambition and the confidence I outwardly projected, I had never really liked myself. I was afraid that secretly maybe I didn’t want to live and that maybe my cancer was the manifestation of years of painful insecurity and mental and emotional self-sabotage. But in that moment, I realized that even if that was true, I could confront those thoughts and feelings and behavior. I could change. If you’ve been diagnosed with a terminal illness, this is the most powerful question you can ask yourself. So go ahead, ask yourself, “Do I want to live?” If your answer is yes, my next question for you is “Why?” Why do you want to live? If you are not sure, take a few minutes to think about what you have to live for. Your reasons to live might be people in your life who need you, people you want to love and serve. Your reason might be a purpose, a calling, a mission you haven’t accomplished, a dream you haven’t fulfilled, or it might be all of the above. Write down or type up the list of your reasons to live and put this list in places where you will see it every day. Tack the list on the wall. Write it in lipstick on your bathroom mirror. Make it the background on your computer screen. Take a picture and make it the lock screen on your phone. Keep your reasons to live in front of you and on your mind throughout the day every day. I had several strong reasons to live. First and foremost I wanted to live for my wife and for my parents. At the time of my diagnosis, Micah and I had been together for eight years (dated for six, married for two). I couldn’t bear the thought of leaving her a widow. Equally painful was the thought of my parents standing beside her at my graveside, burying me, their only child. Beyond that I had dreams and aspirations. I wanted to live a long, full life. I had an entrepreneurial spirit, and I wanted to build a successful business. I wanted to have children and grandchildren, and maybe even meet my great-grandchildren. I wanted to have adventures and travel the world. I wanted to serve the purpose of God in my generation. Healing cancer starts in your mind and your heart, and with a choice. The choice to live. Some cancer patients don’t have a strong will to live. They may be satisfi ed with what they’ve accomplished in life and are ready to die. If this is you, that’s okay! What I would like to encourage you to do is to help the people around you understand that you are ready to die so they won’t continue to pressure you into doing things you don’t want to do. If you don’t want to do treatment, don’t do it. This is your life and you should do what you want to do. You should make the most of the time you have left and live your life to the fullest. Spend time with people you love. Make your bucket list and start checking it off. In January 2012, my cousin Jeff was diagnosed with stage IV colon cancer. He was told that he would only live for about six months without chemo but that he could live up to two years if he did treatment. He accepted his prognosis and agreed to the treatments that his doctors said would “buy him more time” but would not cure him. He set up a CaringBridge page and chronicled his journey through cancer treatment, which showed his inspiring strength and courage. In one e-mail to family, he mentioned that he hoped to be able run one more marathon between chemo treatments, but the tone of his e-mails suggested that he had accepted that he would not be cured. During this time his mother was strongly encouraging him to get a second opinion and to consider incorporating nutrition and nontoxic therapies as I did. She begged him to talk to me and I reached out to him via e-mail, but he did not respond. Later he told his mother in another e-mail that he and I were very different and that he didn’t buy into fads or self-help books. After surgery to remove the tumor in his colon, Jeff felt better and was in good spirits, but within a few weeks after starting chemo his health took a dramatic turn for the worse as the tumors grew rapidly in his abdomen and liver. He could not eat or even keep water down, and he told the doctors that if living meant continuing to be in the condition he was in—i.e., not being able to eat or drink—he did not want to live and would just let the cancer take him, and he hoped it would be quick. Jeff was gone in about three months after diagnosis, just after his 49th birthday. As I’ve thought about my cousin’s cancer experience and reflected on the path he chose, I’ve come to realize that he was right. He and I are different. Introspection does not come naturally to me, but as I began teaching others about health, nutrition, healing, and survival, I was often asked why I made the decisions I made, and I was forced to self-analyze. I realized what made me different; it was the mindset I adopted, which was born out of my determination to get well and to live. Since I started my journey, I’ve read about, met, and interviewed many people who have healed all types and stages of cancer, and I’ve seen that same mindset in every single one of them. I call it the Beat Cancer Mindset. This mindset is the single most important factor, the linchpin in every successful healing story. 1. Accept total responsibility for your health. 4. Make plans for the future. 5. Enjoy your life and the process. 1) Accept total responsibility for your health. The fi rst question on a cancer patient’s mind after diagnosis is “Why did this happen to me? How did I get cancer?” The revelation I had in January 2004 was that the way I was living was killing me. If you have cancer, I believe you should assume the same. My intention is not to blame you or shame you but to empower you to take control of your situation and change your life. Many of the cancer-causing factors in your life can be removed and your risk of getting a recurrence or dying from cancer can be greatly reduced, just by your choices. Your choices matter. People who care about you are going to tell you the truth. Sometimes the truth stings a little, but the truth will set you free. Accepting responsibility for your health starts with considering the possibility that cancer may be your fault. Maybe some bad decisions, bad habits, or ignorance over the course of your life contributed to your cancer. I know mine did. There’s no need to beat yourself up about it or wallow in guilt, self-pity, or regret. Instead now is the time to evaluate your life, accept whatever part you played, and learn from your mistakes. Now is the time to identify the cancer causers in your life, radically change, and move forward. On the surface, this proclamation of defiance to the disease gives the impression of strength, determination, and willpower and could easily serve as a rallying cry for cancer fighters, but tragically, it is denial and disempowerment in disguise. It was denial that she had contributed in any way to her situation, and it was an acknowledgment that she did not believe she had the power to affect her health and her future. She did not survive. And the gravity of her statement still haunts me. Denial is far more dangerous than blaming yourself. Accepting the blame is taking responsibility. Taking responsibility for your circumstance empowers you to take control of your life and to change for the better. Every day in cancer clinics all over the world, patients are told that their cancer is probably the result of bad luck or bad genes. This turns patients into victims. The logic is simple: nothing you did caused or contributed to your disease; therefore, there is nothing you can do to reverse it. If you have family history, they may tell you it’s genetic. If you don’t have any family history, they may still tell you it’s genetic. Heredity and genetics are easy scapegoats, but fewer than 5 percent of cancers are genetic, and not everyone with a “cancer gene” develops cancer. Genes may load the gun, but your diet, lifestyle, and environment pull the trigger. However, if you believe that you are powerless and that there is nothing you can do to positively affect your health and your future, your only hope is medical procedures and pharmaceutical drugs. You are not powerless and you are not a victim. The health or disease you are experiencing today is largely the result of the diet and lifestyle decisions you’ve made in the past. If you abuse your body, it is going to break down sooner, but if you take care of your body it will work better and you will increase your odds of health, healing, and long life. Today’s choices affect tomorrow’s health. 2) Be willing to do whatever it takes. Once you have accepted responsibility for your health, the next step is being willing to do whatever it takes to get well, which means being willing to turn your life upside down, to change everything. If restoring my health meant getting as close to nature as possible by sleeping in the woods in a tent, I was willing to do it. If it meant trekking out into the wilderness for a 40-day water fast like Jesus, I was willing to do it. Fortunately I didn’t have to resort to either of those two things, but they were on my radar. I became a detective, determined to identify and eliminate anything in my life that may have contributed to my disease. I stopped eating to satisfy my appetite and sensual cravings and began eating to feed my cells, restore my health, and save my life. I wasn’t living to eat anymore; I was eating to live. and healing, not solely relying on someone else to cure you. I radically changed my diet and lifestyle. I gave up all the unhealthy food I loved to eat. I did every natural, nontoxic therapy I could find and afford. I faced my fears, admitted my faults, changed the way I thought, reached out to God and asked for help, and forgave everyone who had hurt me. This was a lot more work than showing up for chemo and having my doctor’s permission to eat burgers, ice cream, and pizza, and not changing my life, but I knew I had to do it. The difference between successful people and unsuccessful people is not motivation. Motivation is unpredictable and unreliable. It is easy to be motivated when you’ve started something new and exciting, but when the excitement wears off so does the motivation, and lack of motivation becomes an excuse for inaction. What keeps people going when their motivation is low is determination. Determination is the force inside you that cannot be stopped, even when the storms of life come against you. Determination is doing what you know needs to be done, whether or not you feel like it at the time. During this process, I became acutely aware of the spirit-mind-body connection as it relates to health and realized that not only did I need to change my diet and lifestyle, but I also needed to change the way I was thinking. My perspective on cancer is different from most. I don’t see cancer as something to be fought or killed; I see it as something to be healed. There is a battle involved in healing cancer, but it’s not so much a battle in the body as it is a battle in the mind. In order to heal your body, you must first win the battle in your mind. When I caught myself thinking negatively, I chose to think positively. I chose to speak life out of my mouth and not allow outside influences, fear, and doubt to sway me. When you think and speak this way, you empower your creative subconscious mind to assist you in the process, and you find supernatural strength to do things you never thought you could. Your conscious mind and subconscious mind are powerful. Your beliefs are powerful. Patients who believe treatment will help them often respond better than those who don’t. In my experience patients who go through the motions of treatment and therapies to appease those around them but don’t believe they can get well rarely do. They subliminally sabotage the process and often make impulsive, irrational, emotion-based decisions that are not conducive to healing. When a doctor tells a patient they are going to die in a matter of months, it can become a self-fulfi lling prophecy. They often lose all hope and stop trying to live. They believe they are going to die and they usually do, as predicted. This is eerily not unlike a hex or a curse. No doctor has the authority to dictate the end of your life unless you give it to them. They do not know when you will die. They are just lumping you into a statistical group based on your age, cancer type, stage, and other factors. Your thoughts and beliefs create your life, your health, and your future. And when faced with a terminal prognosis, you have a choice of how to process that information. You can choose to believe it, or you can choose to reject it and become determined to prove your doctor wrong. It’s okay to accept a diagnosis, assuming it has been validated by several sources, but you don’t have to accept a prognosis that you’re going to die in a certain amount of time because a doctor or a statistic said so. Defy the odds and be the exception. The third characteristic of successful survivors is massive action. The minimal action typically produces minimal results, but massive action produces massive results. Massive Action is radical action. If you put crabs in a bucket and one tries to escape, the other crabs will pull it back down. In the same way, people often pull each other down out of envy, spite, or competitiveness. Massive Action may appear crazy to people around you and they may try to talk you out of it, like they did me, but don’t let them. 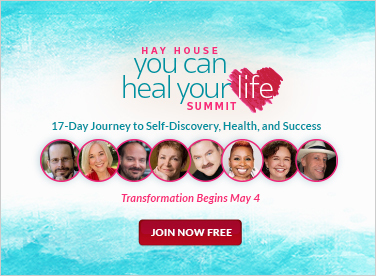 Massive Action is facing your fl aws, faults, and fears, changing your whole life, getting rid of everything that might be keeping you sick, and replacing disease promoters with health promoters. Sometimes small changes can produce big results. I love when that happens. But if that’s what you’re hoping for, your hope is in the wrong place because your hope is for a quick fix. That’s not the Beat Cancer Mindset. That’s the Magic Bullet Mindset. And the conventional and alternative cancer industries are both full of people ready to take advantage of anyone looking for a shortcut. You didn’t get cancer overnight and you aren’t going to get rid of it overnight. There is no miracle cure or magic bullet. 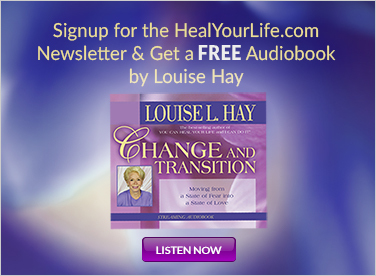 Long-term healing requires massive action and a total life change. Point your ship toward Healthy Island and stay the course. I’ve seen many cancer patients experience dramatic turnarounds in their health and have tumors shrink and even disappear in as little as 30 to 90 days using nutrition and nontoxic therapies, but I’ve also seen some of them become lazy and complacent and slide back into their old unhealthy habits. Then cancer comes back. The first two years after a cancer diagnosis are the most critical. This is when cancer is most likely to return or spread. Two years of hard-core healthy living is an ideal short-term target, and beyond that, in order to stay healthy long term, you have to make your health a priority for life. Every day of your life is a page in your story. Your thoughts, decisions, and actions each day write your story. Take massive action to change your life and be 100 percent committed to the process. 100 percent is easy. 99 percent is hard. 4) Make plans for the future. Document every detail of your cancer journey. Journal. Do a video diary. Plan on being well and document what you’re doing so you can use what you’ve learned to help other people once you are well. You need a future goal to work toward, and making plans for the future is very important. The spirit-mind-body connection is a mystery, but something powerful happens when you plan for the future. You’re planning to live. You’re sending signals of life to your body. Don’t be afraid to make plans for the future. I know the default response is, “Well, I don’t know if I’ll be here in a year or two years . . .” Instead of thinking that way, plan on living a long life. Sketch out your life goals, write down the things you want to accomplish, and keep those goals in front of you and start working toward them. Making plans for the future is so important. When I was diagnosed, I didn’t have children and I really wanted to have a family. I wanted to be a dad. The decision to start a family three months after being diagnosed was a huge risk, but it took my focus off cancer, strengthened my will to live, and brought a new dimension of purpose into my life. If Micah and I had agreed not to have children for fear of an unknown future, we would not have our two beautiful daughters, the greatest joys in our life. 5) Enjoy your life and the process. Now is the time to live. There are a thousand different ways you could die besides cancer. You could die in a car wreck. You could trip and hit your head on the pavement. You could choke on a peppermint. There’s no point in letting cancer paralyze you into depression and inaction. Start doing things you’ve always wanted to do. Get out there. Live your life. Do fun stuff. Do some skydiving, mountain climbing, and bull riding like it says in the Tim McGraw song “Live Like You Were Dying.” Make a commitment to enjoy your life and to enjoy the process. And Get Busy Living! Even if some of these changes are diffi cult for you, like quitting smoking, giving up your favorite unhealthy foods, or eating vegetables you’ve never liked, you’ve got to keep your perspective because there are way worse things than vegetables. And when you get well, you can look back and know it was all worth it. This is a new chapter, a new season in life, a new adventure that should be dominated by gratitude. Gratitude is the secret to happiness. Don’t focus on what you don’t have. Focus on what you do have. Don’t focus on what you can’t do. Focus on what you can do. Cancer cut a dividing line in your life. If you’re focused on the past, longing for the days before cancer and wishing things were the way they used to be, you will only make yourself more miserable. What you focus on expands. Focus on joy, happiness, love, and gratitude and they will increase in your life. Focus on the present and on the things you can do today to improve your health and make your life better. In 2004 I was struggling to build a real estate business, barely making ends meet, and living in a tiny house, and I had cancer. I had every reason to be negative, bitter, and angry. But I learned how to exercise gratitude, how to be thankful, how to focus on all the good things in my life instead of the bad, and how to be happy in my most difficult season of life. And although I would rather not go through cancer again, I know with absolute certainty that what it taught me changed me for the better. The worst thing that ever happened to me has made my life more fulfilling than I could ever have imagined.